On May 18, 1920, he was born in Poland as Karol Wojtyla. In 1978, he became pope and served almost 27 years until his death in 2005. While in Rome from 2004-2005 for the one-year Charism Course together with my brothers and sisters in the Pauline Family, I felt very much his saintly presence while attending Masses which he celebrated in the Vatican. Then the last that I saw of him while he was still alive but already weak was during the celebration of Corpus Christi where he was able to join the people in the procession from the Basilica of St. John Lateran to the Basilica of St. Mary Majors. Another thing that has touched me was his filial devotion to the Blessed Virgin Mary whom he considered as his formator and spiritual guide. This wonderful man of God have inspired me and so many people in the world to live their daily journey of sanctification. What he did as pope was to beatify and canonize many saints, almost 500 of them! He worked so much on this to show us that our faith is alive and well. We need to be inspired daily and he knew that. Saint John Paul II wrote: “From my mother’s womb you called me”. We can make our own these words of the Psalmist. God knew and loved us even before our eyes could contemplate the marvels of creation. At birth all men and women receive a human name. But even before that, each one has a divine name: the name by which God the Father knows and loves them from eternity and for eternity. This is true for everyone, with the exception of none. No one is nameless in God’s sight! All have equal value in his eyes: all are different, yet all are equal, and all are called to be sons and daughters in the Son. 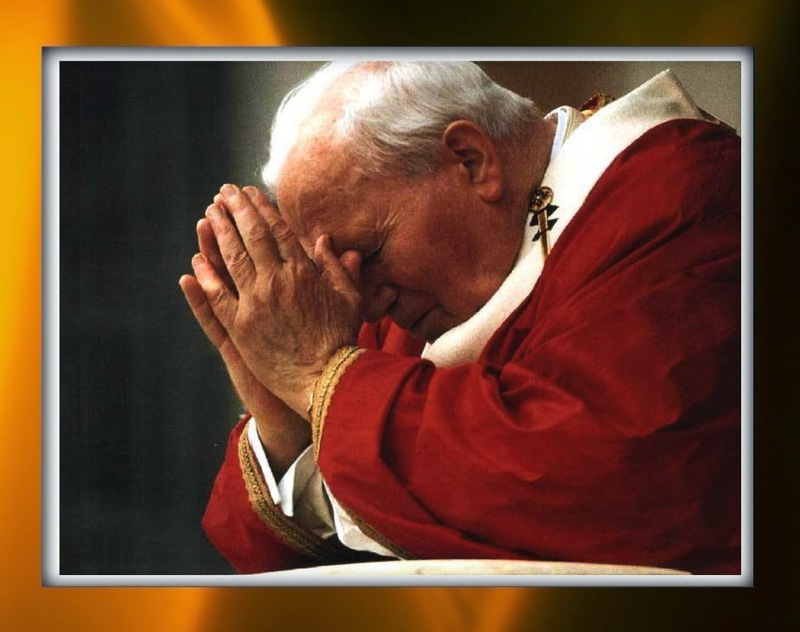 Happy Birthday our beloved Saint John Paul II. Keep praying for us and accompany us in our daily journey of life!